In Eureka, California sits one of the most beautiful examples of Victorian Architecture. The Carson Mansion, with its 18 rooms and excess of 16,200 square feet was constructed between 1884 and 1886. The cost of this structure was an incredible $80,000. 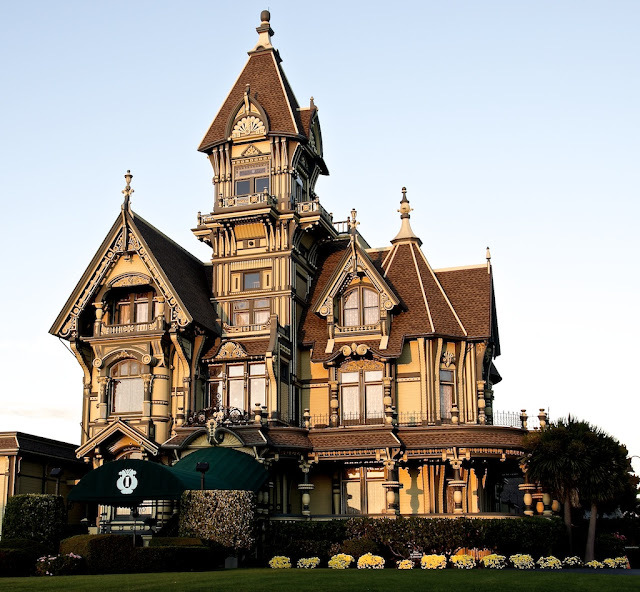 It is a mix of every major style of Victorian Architecture and is the most written about, most photographed house in California, possibly the U.S.
Victorian Architecture is known by many other names and can be of various styles. The building period of Victorian Architecture overlaps the reign of Queen Victoria, for whom it was named. These structures are highly decorated and so aptly nicknamed Gingerbread houses for all of their pieces and gingerbread type scrollwork and ornamentation. Interestingly enough, in the U.S., Toledo, Ohio is recognized as having one of the largest collections of Victorian homes, East of the Mississippi. Boston is noted in the National Register of Historic Places as having the oldest Victorian neighborhood in the U.S. But of course, the U.S. isn’t the only place where these intricate creations of Victorian Architecture can be found. Notable Victorian-era cities range from London to Glasgow to Melbourne and to New Orleans. Typical Victorian Architecture is grand in size, containing many functional rooms and passageways throughout the structure. Most throughout the country are not only fancifully decorated with intricate woodwork throughout, but they are usually known for their grand color schemes, both on the exterior and interior. Large inviting rooms welcome guests into their depths.